At our chiropractic clinic in Cincinnati OH, we work with people from all walks of life struggling to recover from a variety of acute and chronic conditions. Dr. Paul Bauer is a respected chiropractic physician in the Cincinnati area and the only chiropractor with certified training through the Spine Research Institute of San Diego. He loves sharing advanced his knowledge, educating his patients, and providing drug-free and non-invasive services that help people feel, move, and live better. Dr. Bauer is a local pioneer in the delivery of chiropractic care for injury management. While he specializes in personal injuries and auto accident care, he also uses gentle, effective, and targeted spinal adjustment techniques to help people manage a variety of other conditions like idiopathic lower back pain, spinal subluxations, stenosis, and fibromyalgia. Adjustments realign the spinal anatomy, restore normal joint mobility, and can reduce the amount of pain being sent via the nervous system by stimulating specific nerve receptors and triggering the release of natural analgesics. Thanks to the interconnectedness of the body, even adjustments in the lower back can affect relief from things like whiplash and headaches. Soft tissue massage and mobilization is necessary for improving blood flow, lymphatic drainage, and decreased connective tissue tension. Done in a calming environment, our massage services can ease pain, soothe your mind, and trigger relaxation and stress-relief—all essential for total body wellness. You can train literally your body back to health. Our chiropractor uses evidence-based and individualized corrective exercises to enhance the overall healing effect of other services, facilitate improved recovery time, and prevent recurring issues. Exercises and stretches are specifically prescribed based on your needs (e.g., tissue healing, flexibility, strength, endurance) and stage of recovery. Dr. Bauer takes the time necessary to ensure you know how to perform and modify your exercises correctly. Choosing to work with our chiropractor is a great decision for your health—but the choices you make outside our clinic are just as influential on your overall well-being! Dr. Bauer offers practical and insightful guidance on things like posture, ergonomics, sleep quality, nutrition, and exercise so your recovery is more effective and sustainable. 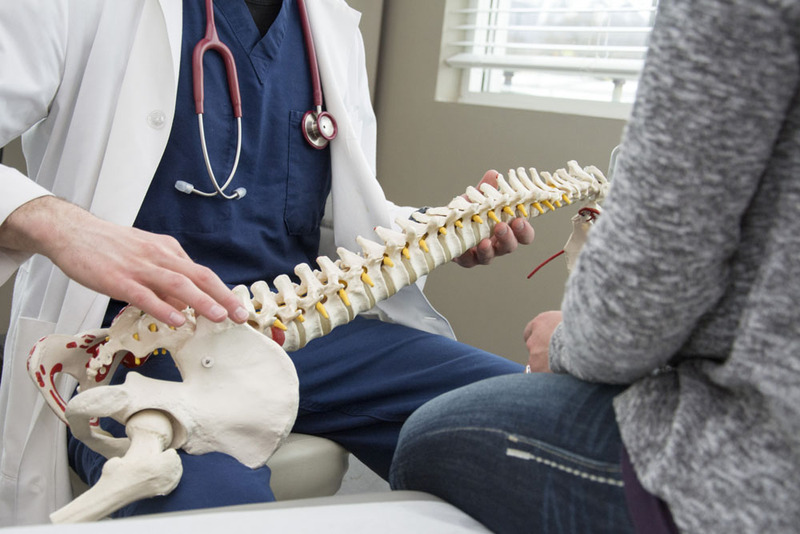 If you're struggling with sciatica, headache, lower back pain, an auto accident injury, or any other condition, contact us today at 513-232-5999 to schedule an initial appointment with our chiropractor in Cincinnati.